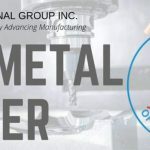 (Windsor, Ontario – March 7, 2019) – Reko International Group Inc. (TSX-V: REKO) today announced results for its quarter ended January 31, 2019. Consolidated sales for the second quarter of 2019 were $11.6 million compared to $11.5 million in the same period last year, an increase of $0.1 million or 0.1%. Unfortunately, the impact of the expansion of manufacturing capacity in the automation division and higher average exchange was offset by lower volumes in certain sectors. (Windsor, Ontario – December 6, 2018) – Reko International Group Inc. (TSX-V: REKO) today announced results for its quarter ended October 31, 2018. Consolidated sales for the first quarter of 2019 were $11.4 million compared to $8.8 million in the same period last year, an increase of $2.6 million or 29.5%. This was largely due to the number of projects completed during the quarter and an increase in the average foreign exchange rate compared to the same period in the prior year. (Windsor, Ontario – October 4, 2018) – Reko International Group Inc. (TSX-V: REKO) today announced results for its year ended July 31, 2018. Consolidated sales for the fourth quarter of 2018 were $10.2 million compared to $9.7 million in the same period last year, an increase of $0.5 million or 5.3%. This was largely due to the number of projects completed during the quarter. Consolidated sales for the year ended July 31, 2018, were $42.3 million, compared to $43.0 million in the prior year, a decrease of $0.7 million or 1.6%. The decrease in sales was related to consistently lower currency exchange rates particularly in the early part of the fiscal year. 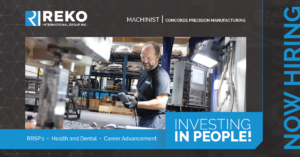 June 4, 2018 – Reko International Group Inc. (TSX-V: REKO) today celebrated the grand opening of their new state-of-the-art facility dedicated to the design, development, and build of innovative industrial automation solutions. 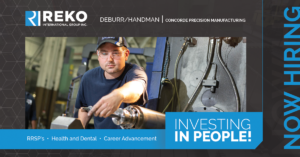 Reko Automation, a division of Reko International Group, will now operate out of their newly constructed 48,600 sq.ft. facility in Lakeshore, Ontario. With three 150-foot long bays, 19-foot ceilings, and up to 30 metric tonne crane capacity, Reko Automation now has the infrastructure in place to deliver large scale, turn-key automation projects and Industry 4.0 solutions. (Windsor, Ontario – June 5, 2018) – Reko International Group Inc. (TSX-V: REKO) today announced results for its third quarter ended April 30, 2018. Consolidated sales for the quarter ended April 30, 2018, were $11.8 million, compared to $11.7 million in the prior year, an increase of $0.1 million or 0.7%. The increase in sales was related to increases in timing of program kickoffs in certain divisions. (Windsor, Ontario – March 1, 2018) – Reko International Group Inc. (TSX-V: REKO) today announced results for its second quarter ended January 31, 2018. Consolidated sales for the quarter ended January 31, 2018, were $11.5 million, compared to $11.2 million in the prior year, an increase of $0.3 million or 2.8%. The increase in sales was related to increases in demand in both the automotive and capital equipment markets. Gross profit for the quarter ended January 31, 2018, was $1.5 million, or 13.4% of sales, compared to a gross profit of $2.0 million, or 18.0% of sales in the prior year. The decrease in gross profit was reflective of a change in product mix, with certain projects worked on during the quarter experiencing lower margins than in prior quarters. (Windsor, Ontario – December 7, 2017) – Reko International Group Inc. (TSX-V: REKO) today announced results for its first quarter ended October 31, 2017. Consolidated sales for the quarter ended October 31, 2017, were $8.8 million, compared to $10.3 million in the prior year, a decrease of $1.6 million or 15.4%. The decrease in sales was related to timing of kickoffs in certain divisions as well as lower volumes in certain sectors. (Windsor, Ontario – December 5, 2017) – Reko International Group Inc. (TSX-V: REKO) is pleased to announce that Mark Read has joined Reko’s executive team as Director of the Automation Division. He is replacing Rick Stone, who is retiring after almost 29 years of service. (Windsor, Ontario – October 4, 2017) – Reko International Group Inc. (TSX-V: REKO) today announced results for its fourth quarter and year ended July 31, 2017. On July 4, 2016, Reko announced that the customer related to the long term supply agreement announced in 2014, had exercised its right to make an advance payment. This one time payment of $3.9 million increased sales, gross profit and net income in Q4 2016 by this amount and net income by $2.9 million. There was no comparable payment in fiscal 2017, and therefore variances must be viewed in the context of this difference. Consolidated sales for the year ended July 31, 2017, were $43.0 million, compared to $50.6 million in the prior year, a decrease of $7.6 million or 15.1%. The decrease in sales was related to the receipt of a one time payment in lieu of guaranteed volume under the long term agreement in the prior year, noted above, as well as a decrease in volumes in certain types of work in transportation and oil and gas sectors. (Windsor, Ontario – August 2, 2017) – Reko International Group Inc. (TSX-V: REKO) today announced its plans for the construction of a new manufacturing and innovation facility. The building, which will encompass over 40,000 square feet of production space, will be adjacent to its current premises on Silver Creek Industrial Drive in Lakeshore, ON. Cleaning, deburring, and assembling parts for a manufacturing facility. Using your skills and experience in blueprint reading, measuring, and checking, you will prepare all material and complete all tasks associated with the manufacturing of all machine components. This individual will posses the knowledge to provide 24/7 service and warranty work for maintenance and repair of all our machines. This individual will also participate in the build and commissioning of the machines on our shop floor. In this role, you will be responsible for the varying stages of designs through programming and commissioning of control systems. Electrical/pneumatic AutoCAD design. Programming of all types of PLCs and HMIs. Programming of Robots. Integration of third party systems as part of factory automation machines. The customer service delivery model includes start-up, debug, service and/or warranty requirements. Thank you for your interest in Reko International Group. Please contact us using the information below. To contact a specific division, please visit our division websites. We look forward to speaking with you soon! © 2017 Reko International Group Inc.